The book was a collection short stories are set in the early 20th century. Many take place in New York City and deal for the most part with ordinary people: clerks, policemen, waitresses, etc. and to this day I believe this book of fascinating stories gave me the special interest I have had all my life for compiling stories of fellow Wulfrunians. Now it has been said; that to a true Wulfrunian , there is no district so important or so interesting as his own town and in particular the area in which he grew up. Over these next few weeks I hope to draw upon a my long memory and post a selection of short stories from my early life around our Mother Church, of St Peter. Hopefully giving an impression of how progress has changed the face of the Wolverhampton I knew. May 1937 the town was profusely decorated for this special event. 12th May 1937. Although the World was going through uncertain times, Japan marching through China, Wars in Spain, troubles in Germany, England though was the exception itself enjoying happy times. 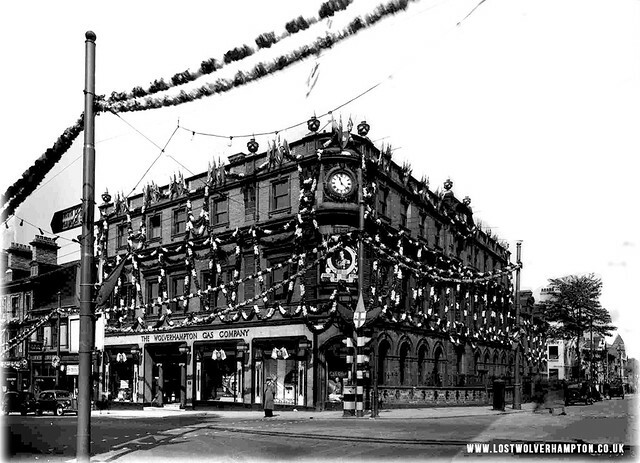 The weather was fine and the flags were out in all the villages towns and cities, as they were here in Wolverhampton for the Coronation of George VI the unlikely Monarch. And the Beginning of my journey through life started just a few days later in Bath Road, on the 23rd during that special month of May. Now, what do we know about Bath Road? Well in the 1850’s Subscription Baths were built on a piece of waste ground adjoining the racecourse including private baths and two warm water swimming pools (until then the only facilities for the poor in town had been the likes of gravel pits and the canals). Access to the them was provided by the main road to the racecourse which became Bath Road, and a small connecting road which became Bath Avenue. 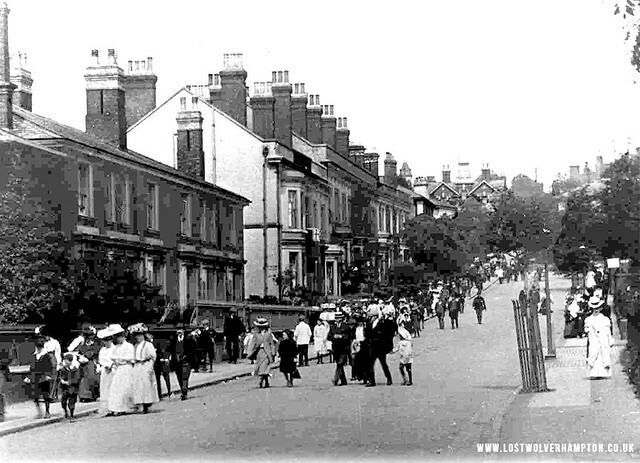 As you can see by this evocative photo circa 1910 Bath Road was an elegant thoroughfare. All attired in their Sunday best, Coming from a church service in town or just a pleasant afternoon stroll down to our lovely West Park. 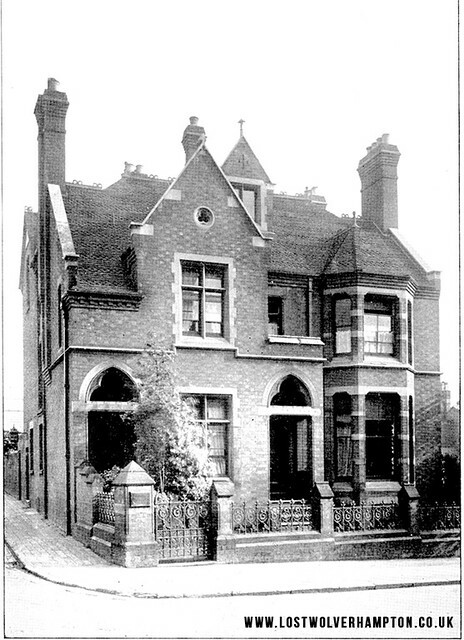 When this photograph was taken Bath Road was full of fine Victorian residences built for well off Wulfrunians, It led down from Darlington Street to Chapel Ash and was the main road out to the western suburbs. Many tree lined streets adjoined it at that time including Clarence Road, Birch Street, Lynton Street, Albany Road, Horsman Street, Lovatt Street and Meadow Street and these seven street were just on the South side. Also on that same side were four fine buildings, The Welsh Chapel, The Queen Victoria Nursing Home, Wolverhampton and Dudley Breweries and Charles Clarks Carriage Works. And this is how it would remain for another 50 years through two World Wars. Until that fateful day in June 1968 when the ill conceived on going ring-road cut its path across Bath Road and joined with Waterloo Road. Well, why this interest in Bath Road? Looking from just above Birch Street on the right of Bath Road on this early spring day in the late 1960’, local Wholesale grocers, Kidson’s distinguished house on the left across Waterloo Road, stands proudly on the corner of Whitmore Hill , and provides a fitting backdrop on this Victorian parade up Wadham’s Hill into North Street. Clarence Road on the right in those days ran for two hundred yards parallel with Waterloo Road until it joined its namesake Clarence Street which took you left into Waterloo Road or right into Lovatt Street and Chapel Ash. This institution is supported by voluntary contributions, to provide nurses(free of charge)and certified midwives for nursing of sick poor and necessitous cases, irrespective of creed, in their own homes No’s 1 and 2 Bath Road has been equipped as a Maternity home with nine beds. I I was born on the 23rd May 1937, and was often told, it was the day that “Mid-day Sun” won the Derby. 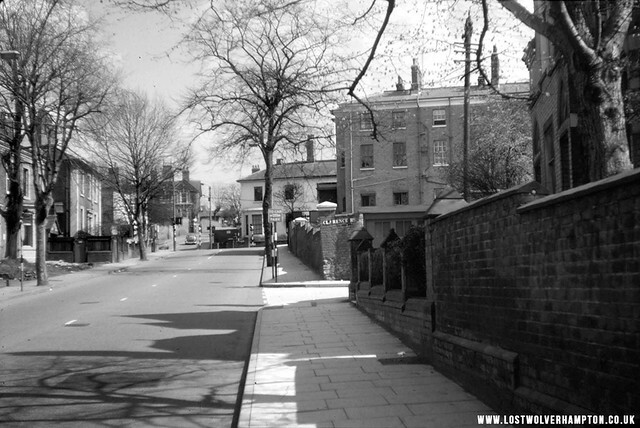 But in actual fact, it was first past the post a couple of days later, the day dad came to collect my mother and I from the nursing home in Bath Road, and take us the short walk up Wadhams Hill , across North Street, and down to the Londes to our terraced house in Nursery Street. 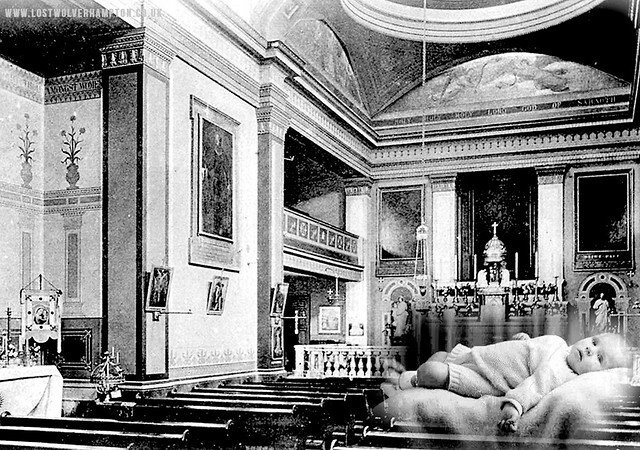 I was baptised in our family church of St Peter and Pauls, Paternoster Row, North Street in September 1937. 78 years have gone by now since that morning in church, and as I look back today I am so thankful my memory has lasted longer than my dreams. My name is Bill , I used to walk up Wadhams Hill to get to my home that was near. I can’t do that today they’ve swept it all away, along with the streets I held dear. Over the next few weeks I shall tell you about the demise of North Street before all the character was sucked from it. “There used to be a playground” in the shadow of St Peter’s. « Déjà Vu Perhaps ? Excellent reading Billy – I was born 1939 in Willenhall but I started work in Waterloo Road in 1955 so the area which is the subject of your story is well known to me and I can remember all of the buildings and streets you mention which were still in existence at that time. The rear of our office backed on to Clarence Street and we used to play football in the street during our lunchtimes. Much of my working life was spent at various offices in Waterloo Road and in fact I was still working there when I retired in 2003. I’ll go for Auctioneers, Insurance, Solicitors, Estate Agents in that order. 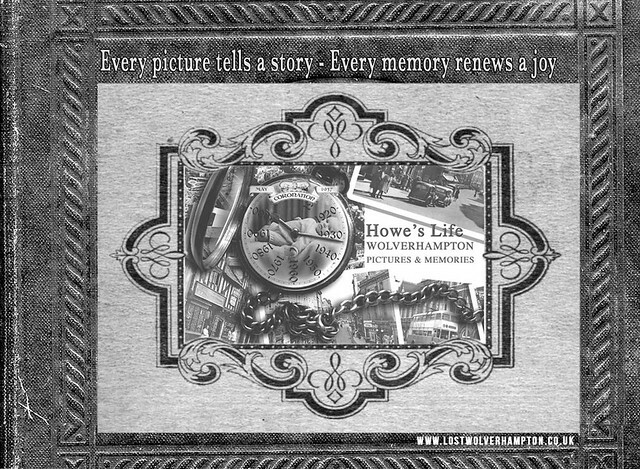 Thank you for the comments and please join our forum or better still, our Facebook group Lost Wolverhampton. Hi Billy – Thanks for your reply – You were right with insurance. I was fortunate enough to spend the whole of my working life (apart from NS) in Wolverhampton whereas most in my profession had to eventually move to Birmingham. Due to the extra travel time it was always my ambitions never to have to move and in fact I left 2 jobs to avoid it when my employers closed their Wolverhampton offices down. Best things I never did!